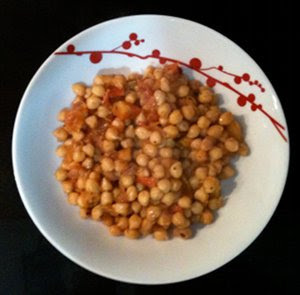 The day before the preparation of this delicious Italian recipes that has as main ingredients the chickpeas you should remember to place the chick peas in a bowl and cover them with water. 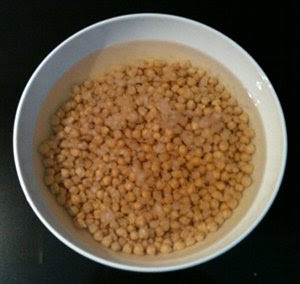 Leave the chickpeas for almost 12-14 hour in water and then cooked them by using the pressure cooker. I usually cook 300 g of chickpeas with 500 ml of not salted water for 40-50 minutes according to your taste. I usually prefer firmer chickpeas so I cook them for 40 minutes. 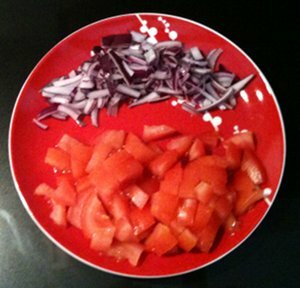 While the chickpeas cook, chop the onion and cut the fresh tomatoes in small pieces. 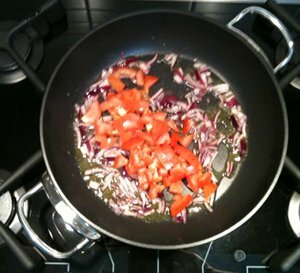 When the chickpeas are almost cooked, preheat the extra virgin olive oil in a pan, add the onion and the tomatoes and let them brown. Add the chickpeas, sauté them for 5 minutes. 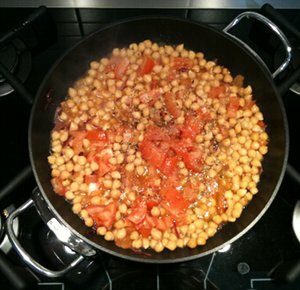 Mix all together, sprinkle with salt and pepper and let them cook for other 10-15 minute in order to mix well the taste of chickpeas with that of fresh tomatoes.